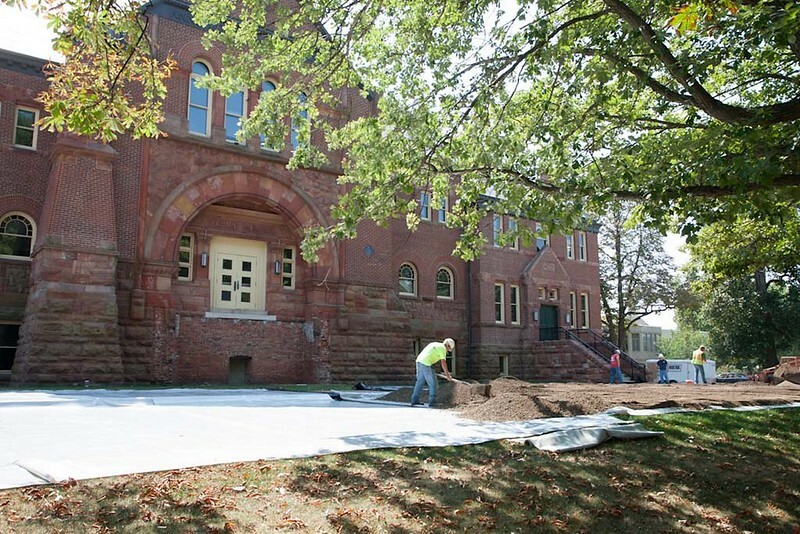 To protect the brick sidewalk and new concrete driveway in the front of Alumni Hall from the heavy equipment that will be used during the renovation, thick plastic sheeting has been laid across the surfaces, followed by 20 truckloads of gravel. The gravel will be removed following completion of the work. 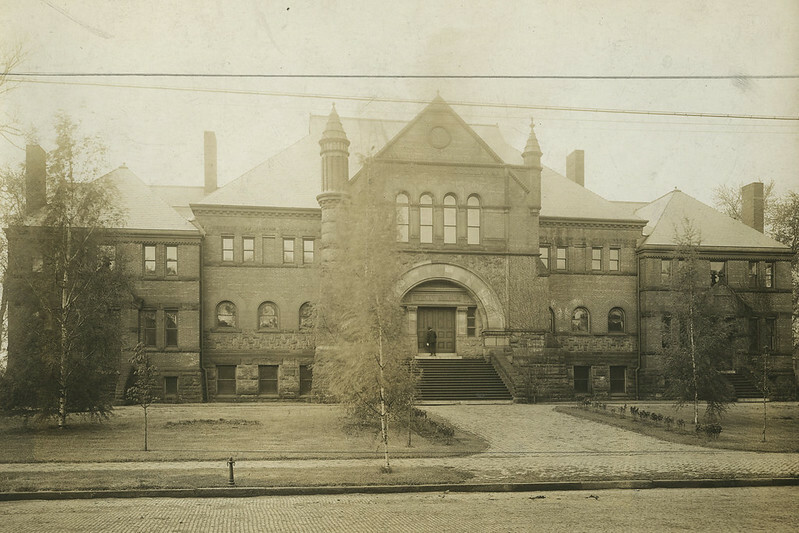 Here’s a look at Alumni Hall’s north side from what we think is around the turn of the 20th century. 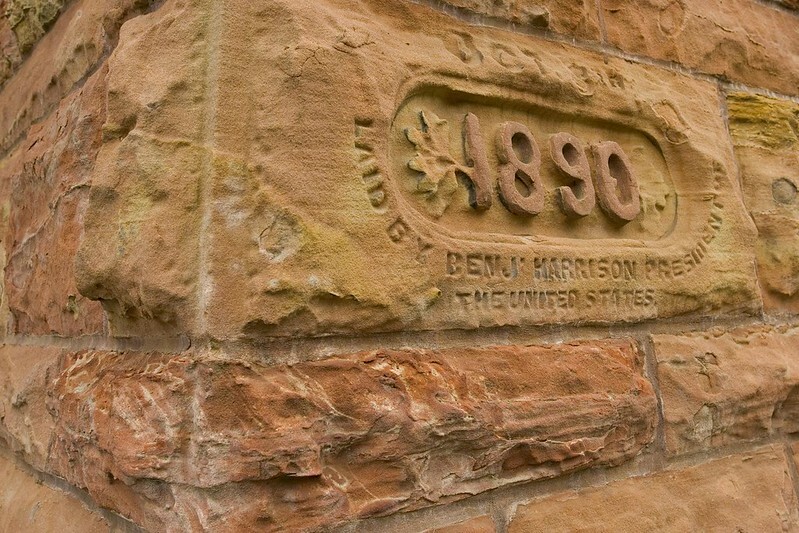 Do you think that post on the lower left, on a brick paved South Street, is for tying up horses? 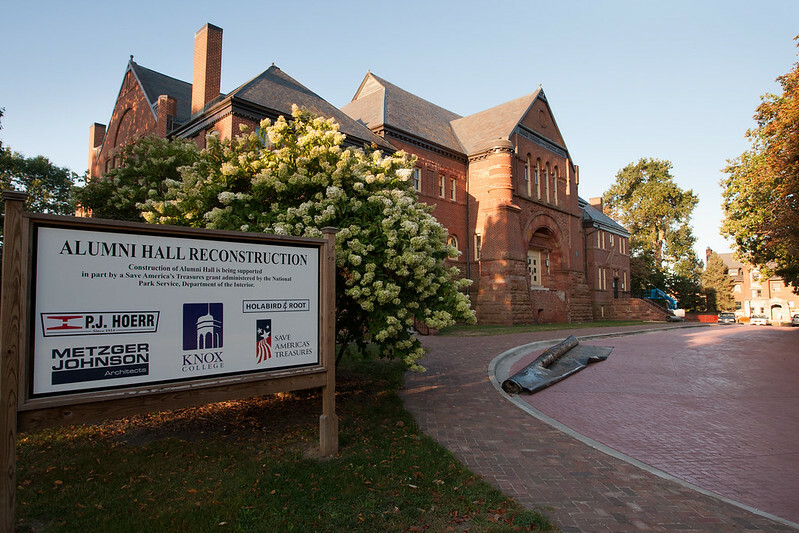 Major renovation work on Alumni Hall has begun! 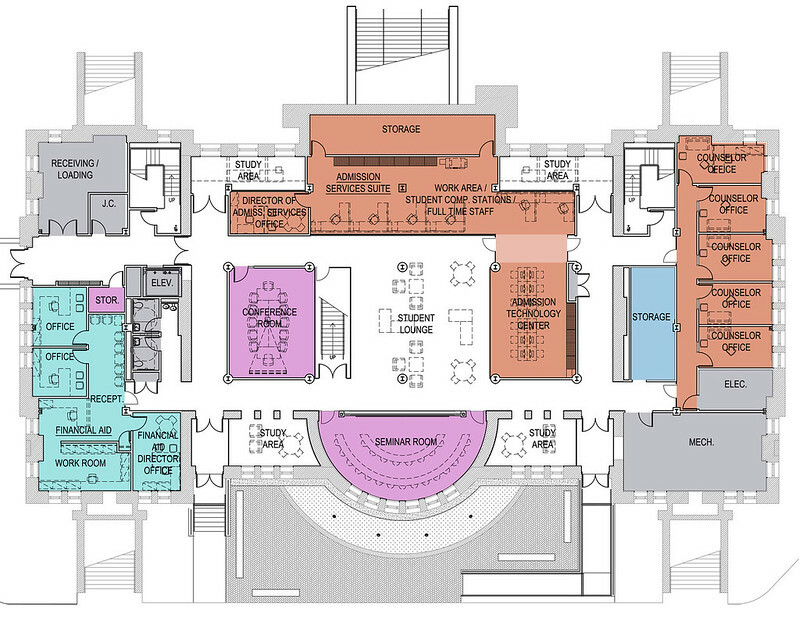 By fall 2014, the journey from prospective student to alumna/us of this historic institution will begin and end with Alumni Hall. 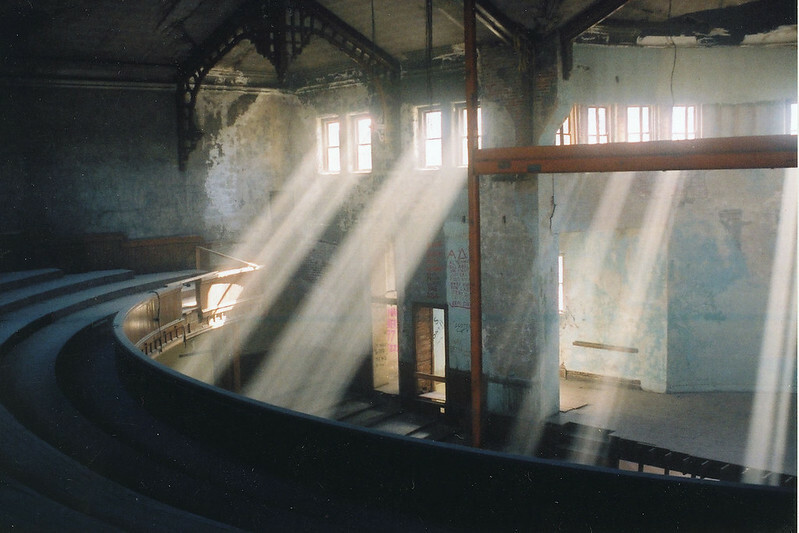 Read more about the transformation of Alumni Hall.